Doorstop and vinyl covered foam weatherstrip all in one. Round edge molding for a neat appearance. Vinyl covered foam seal remains pliable in the coldest conditions. Each kit contains two 7′ pieces and one 3′ piece. Pre-primed wood carrier. This attractive and durable door weatherstrip is unaffected by cold temperatures. These vinyl clad foam replacement weatherstrips are designed for installation in the kerf slot of a doorstop. The vinyl clad foam compresses against the door to form a weather-tight seal. Easy do-it-yourself installation with screws included. Slotted holes for simple adjustment. Approximately 17' per set. 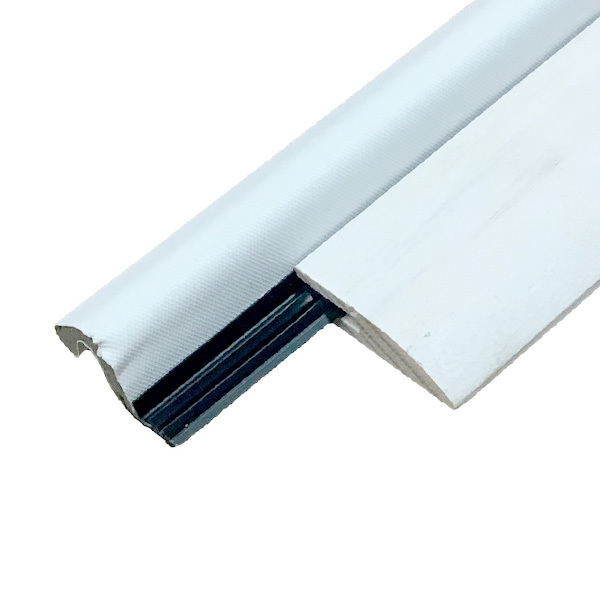 Economy model aluminum threshold is 3" wide, 3/4" high and 36" long.